The Division 2 Brand sets are a new feature and apply to all armour pieces that you pick up as you battle across post-apocalyptic Washington, D.C. Every one of the six forms of armour you can carry in The Division 2 has a brand – think Gucci and Louis Vuitton, but with a Tom Clancy lick of paint – and if you stack items of the same brand together you’ll earn a brand set bonus. These bonuses max out at three items, so with six slots and with 16 different The Division 2 brands (plus two we haven’t spotted in-game ourselves yet) there’s a lot of mixing and matching you can do to ensure your gear and style of play are in sync. For example, you could carry six items all from different brands for well-rounded build, or you could max out two brand sets that compliment one another for a more specialised character. It’s important to note that while similar, brand sets are not the same as The Division 2 gear sets, which are tied heavily to the endgame. We fully expect gear sets to make a return, but brand sets provide players with a way of refining their character build from the get-go. There are 18 brand sets at the time of writing. To give you a rough idea of how you can mix these brand sets together, you could create a powerful headshot crit build by equipping three gear pieces from the Airaldi Holdings brand, two pieces from Wyvern Wear, and one Douglas & Harding piece of armour. With the right marksman rifle and good aim you’ll decimate foes with ease. The neat thing about The Division 2 brand sets is how flexible they are, and if Ubisoft adds another brand set it could have huge ramification on the potential builds available to players. 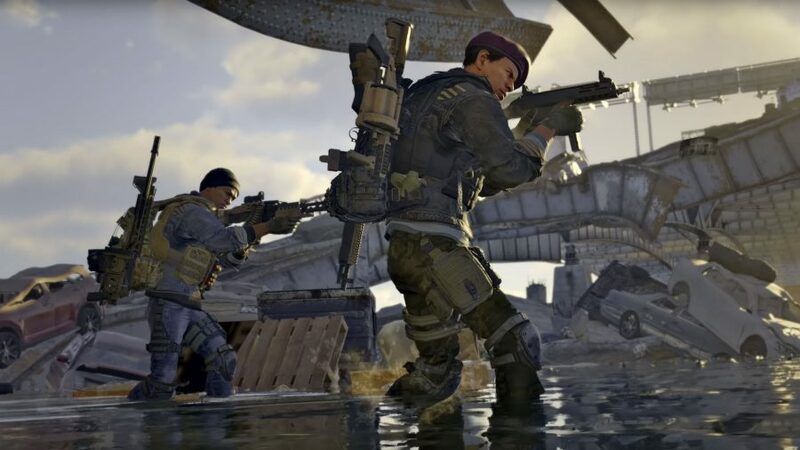 If you’re looking for more information ahead of The Division 2 release date then check out our suite of guides, such as details on the True Sons, The Division 2 Hyenas, or Outcasts faction, or a breakdown of the new The Division 2 Specializations. We will update this list of brand sets and bonuses when we learn of new brands or balancing changes, so you can be sure what’s listed above is accurate and up to date.